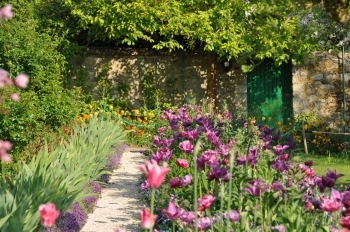 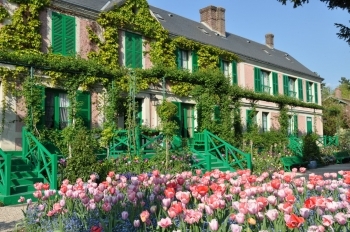 Tulips spread their colors these weeks at Giverny. 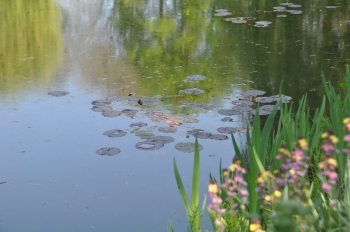 It is one of the times of year when the monet garden is at its brightest. 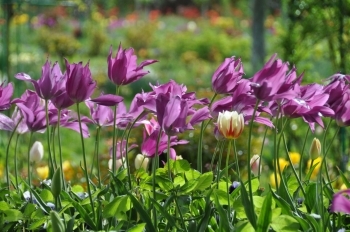 The big colorful heads stand side by side, being planted tight, undisturbed by any leaves, that are much lower. Tulips have the ability of looking thick and massive in direct or mute light, and totally different as soon as the sun shines through their petals. 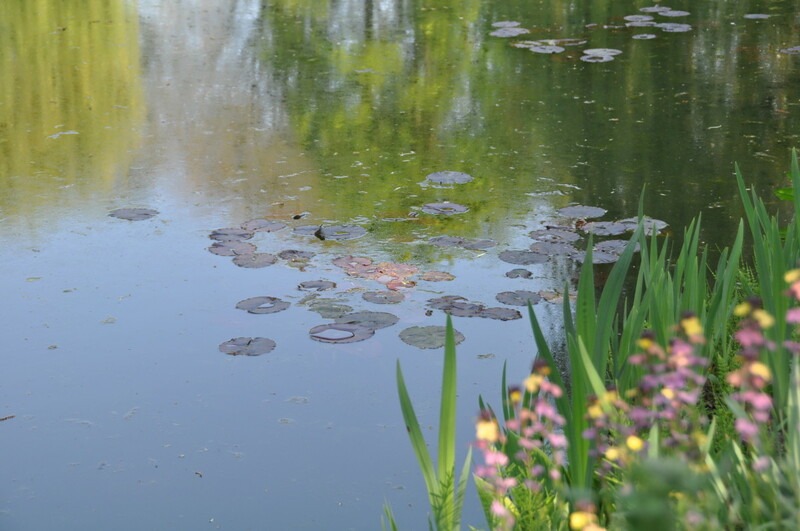 Then, in late afternoon for instance, they become delicate and light, they seem to loose any weight and dance in the breeze.